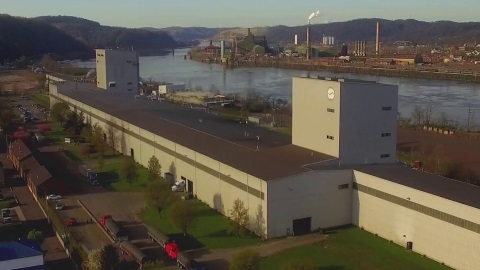 NS Wheeling-Nisshin, Inc., over the past 30 years, has gained a great reputation in the United States market as a producer of the widest variety of quality coated products that are delivered on-time at a reasonable price. 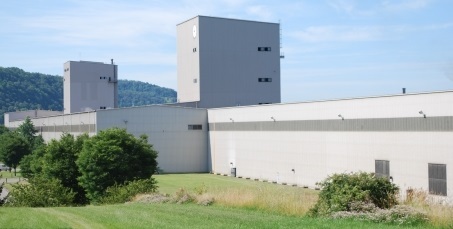 Today, NS Wheeling-Nisshin produces five major hot-dipped coated products under one roof at a capacity of over 700,000 tons per year. The fifth product, ZAM® was introduced in November 2013 and at a cost of about $28 million in upgrades to our AGL coating line. ZAM® can be considered the corrosion protection of the 21st century. This newest product offering raises the bar by setting a new standard for corrosion resistance and positions NS Wheeling-Nisshin as an industry leader and your supplier of choice living up to our motto as The Foremost Coated Steel Innovator: Quality, Variety and Satisfaction. Over the years NS Wheeling-Nisshin has taken advantage of the flexibility provided by two fully-computerized coating lines, a broad product base and the capability of quickly reacting to market trends. The AGL has been operating successfully since 1988 and the CGL since 1993. Both multi-product lines have a long-standing reputation for producing high quality, cost effective corrosion resistant sheet products. Our state-of-the-art hot dip coating lines make it possible to meet exact specifications for quality, quantity, and delivery time with maximum cost efficiency. NS Wheeling-Nisshin's mission is to encourage a philosophy of continuous improvement among our dedicated employees. This translates into providing a superior product to a diverse customer base - a customer base that will expand further with the introduction of ZAM®. Our coated products are found in a variety of markets and industries including metal buildings, roofing, architectural panels, doors and frames, agricultural products, automotive, construction, HVAC, duct work, appliance, bake ware, heat shields, culvert, highway safety equipment, etc. NS Wheeling-Nisshin's 350,000 square foot steel building with metal roof and siding is a good example of corrosion resistant product.